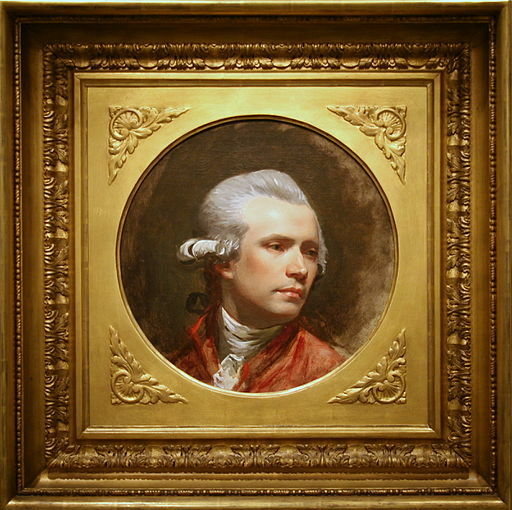 Very little is known about the early life of American artist John Singleton Copley. He was born sometime in 1738 and actively practiced his profession in colonial America as well as in England. It was assumed that he was born in Boston, Massachusetts to Anglo-Irish parents. Copley was famous for his portraits of important persons in New England and his propensity for including items that related to the lives of his subjects. Even his early art education was not known. His parents were tobacconists. His father died before he was born and his mother remarried Peter Pelham in 1748. Peter Pelham was a portrait artist, an engraver and a limner. It’s believed that it was him who taught art to Copley. By age 15, Copley was able to engrave in mezzotint. Although he would later prove to be an excellent artist, Copley was prone to indulge in self-pity and brooding and despite being highly skilled and industrious, he was not adventurous. By the time Copley turned 19 he was already an accomplished portraitist and had his own practice. At age 20, he was producing oil and pastel portraits, on the same level as the best portraitists in America at that time. The British Museum has his book on human anatomical studies, which he did while he was still a teenager proving that he was for the most part, self-taught. In American colonial art, John Singleton Copley was one of the most important, as he was hailed as one of the best of that period’s portrait artists. He was also considered as a pioneer in 18th century American art. At the age of 36, he traveled to London, where he established a career as a history painter and society portrait artist. He never went back to his homeland. In both England and America, Copley displayed his genius at capturing emotional immediacy and surface textures. 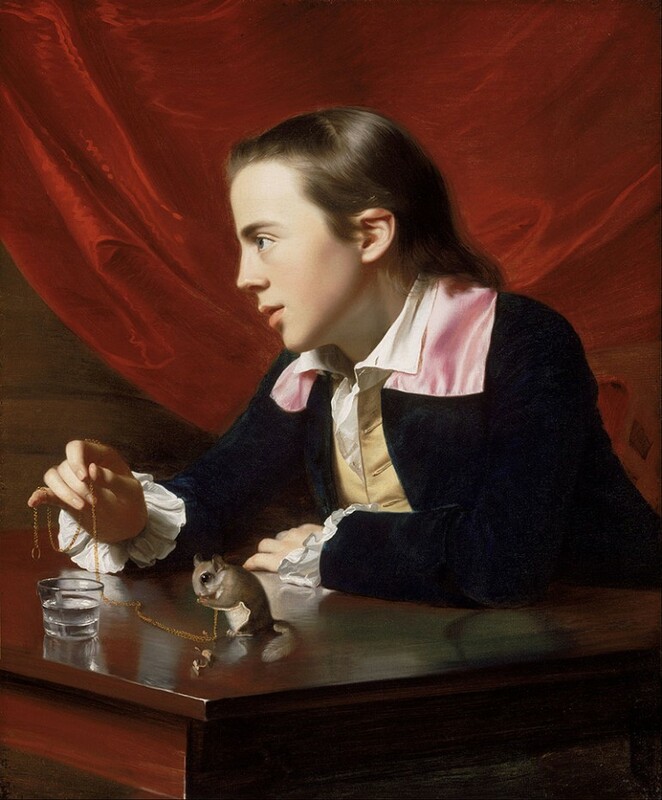 “The Boy with the Squirrel” was an early work of Copley. He sent it to London for an exhibition in 1766. The painting showed Henry, his half-brother, playing with his pet squirrel on a table. The painting was highly praised by Benjamin West, an Anglo-American history painter and Joshua Reynolds, an influential British portrait artist and the founder and first president of the Royal Academy in London. Copley became a Fellow of the Society of Artists of Great Britain due to the praise he received from these two very influential artists. By the time that Copley reached the age of 30, he had become rich through his portrait paintings, and he became famous all over Colonial New England, with prominent individuals coming to his studio to have their portraits done. He married the daughter of an affluent Tory merchant with whom he had six children. Copley continued to receive many commissions for portraits, some of them coming from New York. However, there was an increase in revolutionary activity in Boston, and with his family being loyal sympathizers and the fact that he felt that he’s being isolated from the fine art in Europe, he left for London. But before settling in London, he went on a 9-month tour of Europe. In London, he continued to work on portraits but adapted his New England style to the fashionable and ornate manner of the style pervasive in London, which for some people were inferior to his early works while in America. Still he remained an in-demand portraitist and created portraits for American and British personalities. Copley grabbed the opportunity to be a history painter in London, and he created his first narrative history painting titled “Brook Watson and the Shark” in 1778. He created several historical paintings, including one of the largest oil paintings created in Britain, “The Repulse of the Floating Batteries at Gibraltar” that he painted in 1791 and now on display at the London Guildhall. In creating historical paintings, Copley showed that he was very adept at constructing compositions with multi-figures and his works earned him the acclaim as one of England’s best history painters. Many art critics and historians considered John Singleton Copley as America’s greatest painter of the 18th century due to his history paintings that combined drama, idealism and reportage, as well as his excellent portraits. Copley was also an American realism pioneer, which was adopted by 19th century artists such as Thomas Cole, Winslow Homer, Edward Hopper and Thomas Eakins.